Check with the Instructors, Instructor if the Instructors is qualified to teach the style. 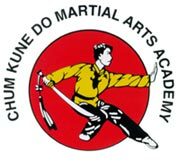 What has his students achieved under his teaching and what has the Instructor has archived over the years of his martial arts training. WOULD YOU TRUST YOUR CHILD WITH SOMEONE YOU DON'T KNOW? THE CHOICE IS YOUR, I HOPE YOU MAKE THE RIGHT ONE.